The Last Remnant tries to do some unique things in the Japanese RPG genre but not all of them succeed creating a game you’ll either love or hate based on how you like to play the genre. The game was released for the Xbox 360 in November 2008 with a Windows release early in 2009. The games development and publishing was handled by Square Enix. From a story perspective the game isn’t anything ground breaking (although that is most Japanese RPGs to be fair). The game takes place in a fictional world that has been divided into four major cities that feature four very distinct races. This world is also home to the ‘Remnants’ which are ancient and powerful artefacts with incredible magical power. 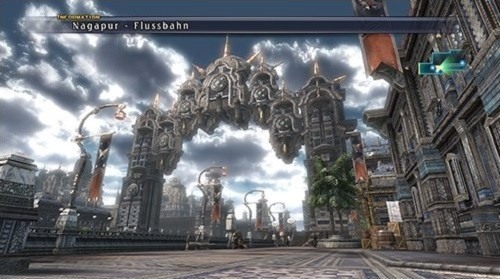 Players will spend their time in The Last Remnant moving between three key game aspects: the game world, battles and the world map. Players control Rush Sykes from a third person perspective to explore the game world by moving in and out of various areas. As you explore you’ll also be able to talk to NPCs, explore buildings and take part in battles. 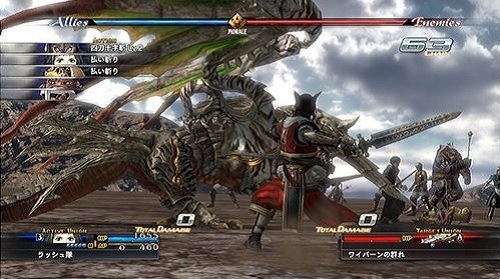 The Last Remnant ditches random battles all together which allows players to welcome or avoid fights by being able to visually track monsters in the game world. Starting up a battle is where you’ll see the other most notable movement away from the traditional Japense RPG with players placing their units into groups known as unions. Enemies are also split into these unions and can have anywhere between 1 and 5 individual units while players make unions of 3-5 allied units. Players then select an overall action for the group to undertake be it healing another group or attacking an enemy. The system is a nice touch and helps to streamline the turn based experience but will occasionally be annoying as you don’t have the micro control that you would expect. The Last Remnant takes a few side steps in the Japanese role playing genre that mixes up what you would consider normal in the genre. You’ll find some of these a welcomed changed but others just don’t feel thought out. Available on Windows and Xbox 360. Beautiful game world to explore. Save whenever and wherever unlike similar games that use checkpoint systems.